This story begins with extra bad shoulder pain that would not go away. So first you get an x-ray to see if it’s a bone thing. Negative. 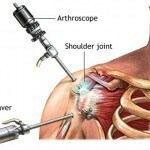 Then you tell an orthopedist a story he’s probably heard a thousand times: The shoulder works well most of the time, but a certain range of motion causes pain that feels like a stab wound. I can do pull-ups and push-ups, but putting my right arm in a shirt sleeve is no longer routine, and throwing a football or swinging a tennis racquet is out of the question. 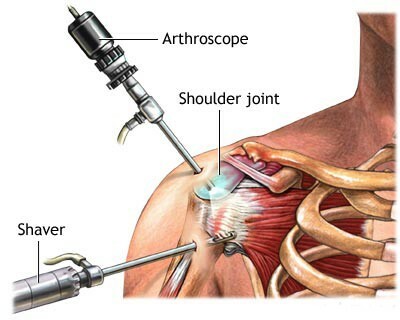 An MRI confirms the diagnosis: rotator cuff tear. And faster than you can say Blue Cross/Blue Shield, you’re scheduled for surgery and looking forward to what is by all accounts a long, painful and difficult recovery that has at best fair odds to result in complete recovery. Then this morning you turn on NPR just in time – literally, right at the very moment – to hear Loren Fishman tell Joe & Terry Graedon how yoga can resolve a rotator cuff injury. No surgery. So we’ll postpone that surgery and do our research and maybe use yoga to train my shoulder to ‘bypass’ the torn rotator cuff. Fishman has applied yoga to treat sciatica, scoliosis, multiple sclerosis, osteoarthritis, and osteoporosis as well as rotator cuff syndrome, apparently with great success as described in the New York Times. Some in the medical profession would consider Dr. Fishman a renegade, but to many of his patients he’s a miracle worker who treats their various orthopedic disorders without the drugs, surgery or endless months of physical therapy most doctors recommend…. For many years, yoga teachers and enthusiasts have touted the benefits to the body of this ancient practice, but it is the rare physician who both endorses it and documents its value in clinical tests. Dr. Fishman has done both.